Vintage Toys & Memorabilia: VINTAGE TOY GUIDE BOOK REVIEW - Wham-O Super-Book: Celebrating 60 Years Inside the Fun Factory! 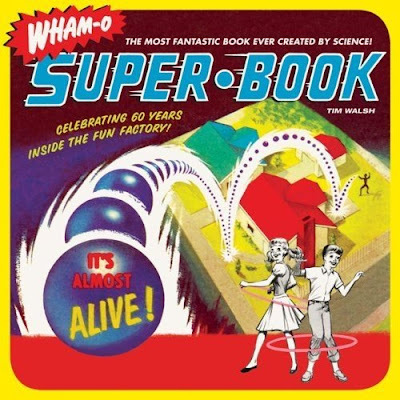 VINTAGE TOY GUIDE BOOK REVIEW - Wham-O Super-Book: Celebrating 60 Years Inside the Fun Factory! As both a vintage toy collector ( & dealer ) I am always looking for good reference material to learn more about my favorite vintage toys & collectibles. One such book is a brand-new one published by Chronicle Books titled, "Wham-O Super-Book: Celebrating 60 Years Inside the Fun Factory". Written by Tim Walsh, this baby is packed with tons of great information, color photos, vintage ads, illustrations, & much more all about the super-classic toy company, Wham-O! 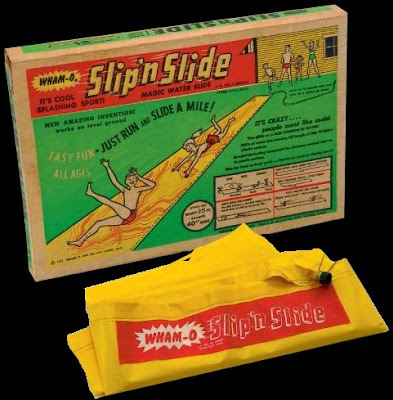 We have all at one time had a favorite Wham-O Toy. I mean, they have been around for over 60 years! 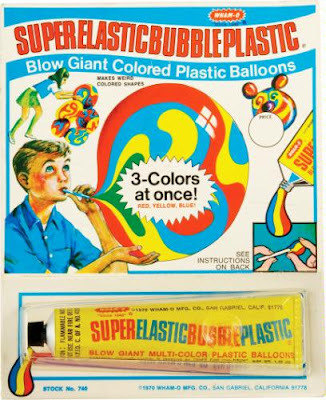 They're famous for making the Frisbee, Hula Hoop, Super Ball, Slip 'N Slide, Silly String, Hacky Sack, Monster Magnet, Superelasticbubbleplastic, & much much more! Shown here are just a few of the many photos seen inside this wonderful book. I also found a YouTube video of the author explaining the book. Overall it's 192 well-written pages that will totally bring back the good memories. 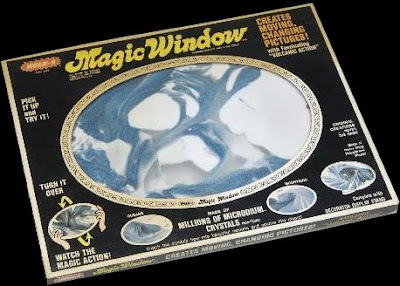 As a toy collector I found that it reminded me of many toys I used to love but sadly forgot, like "Magic Window"! 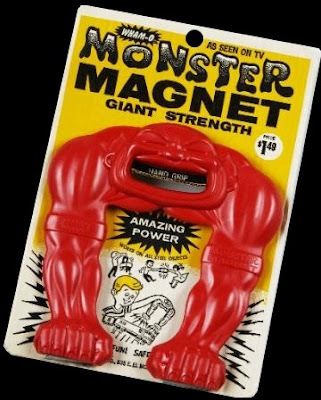 My sister & I used to play with that thing all the time, ha ha! As a toy dealer the book is also a great reference for time lines, different issues of packaging for the same toy, when they came out, etc...it's just loaded with tons of great photos too! So, it's seriously a great book that I can reccommend to everybody who loves vintage toy history. I came across this blog via Google, of course, and can't express how happy it makes me! The book you posed is now on my wish-list. I was wondering how you got into the career of vintage toy collecting/dealing? Did any formal education prepare you for this? I would love to talk more about the subject. I Came across a WHAM-O FLURRY toy at a goodwill and i cant find anything on the internet about them, are they special? I collect vintage toys (robots and ray guns) and hadn't even heard of this book until I read your post. I definitely need to check it out. I found you on google. 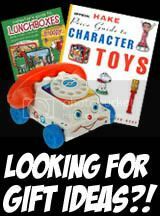 I collect and sell vintage toys and I want you to say that you have a well looking blog. Thank you very much for spending much time in this project. Greetings from Germanys!